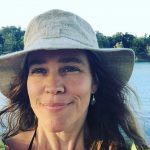 On June 15, 2016, Guernica Magazine published an in-depth interview with Catalytic Communities‘ Executive Director Theresa Williamson. 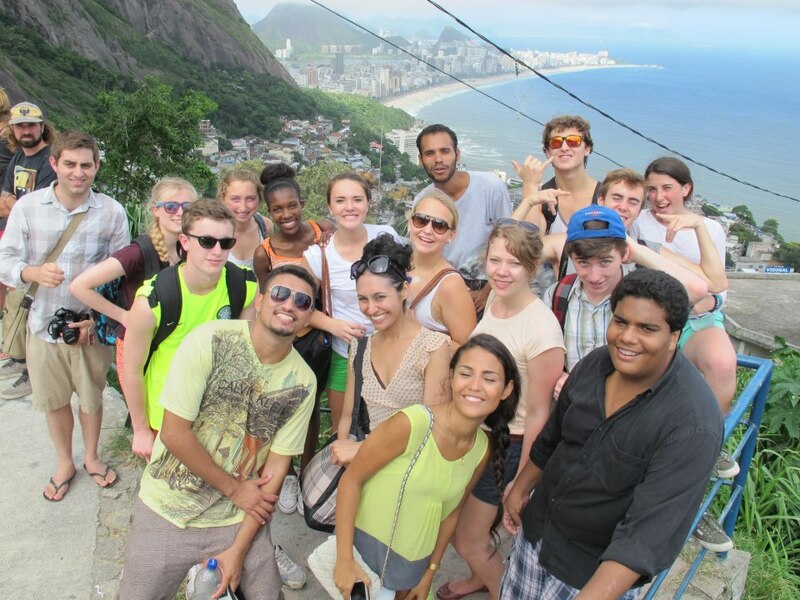 Interviewed by writer and researcher Ann Deslandes, Williamson discusses a wide range of themes relating to Rio’s favelas and Catalytic Communities’ work including the historical formation of favelas, urban planning, affordable housing, informality, the favela chic trend and lessons cities around the world can learn from Rio’s favelas. Below we condense some key excerpts from the interview. To read the full interview click here. 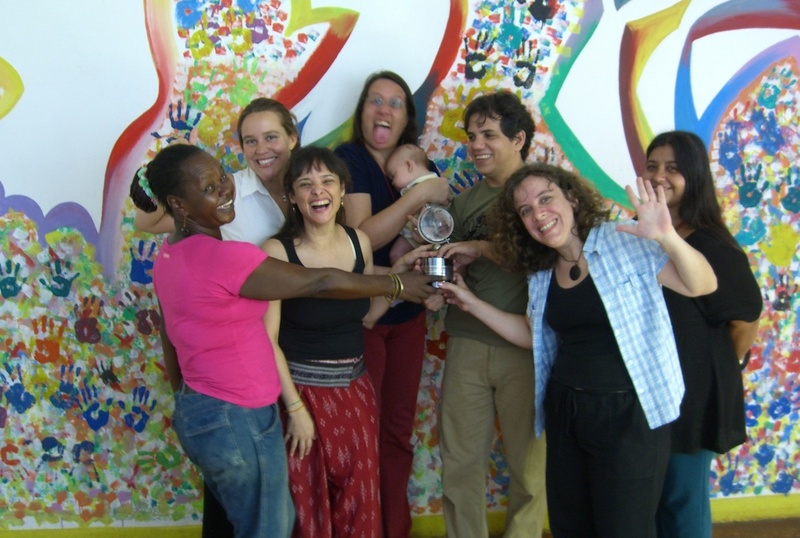 Guernica: What is the story that Catalytic Communities tells about favela communities in Brazil, and how is it different from the story that we are used to hearing? Theresa Williamson: We are trying to get people to think about the contexts that produced these communities. We look back at their history and say, well, who would choose to live in a way where society marginalizes you? Nobody! 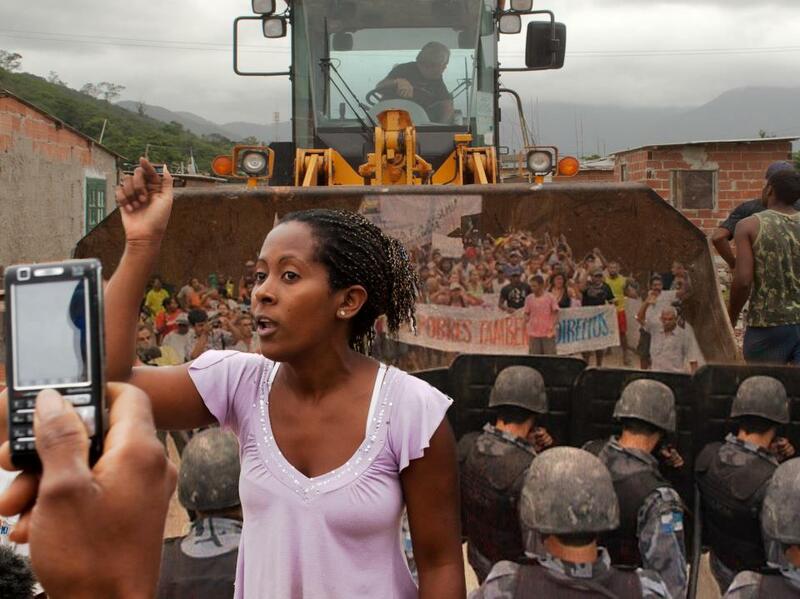 We say that favelas are there as a consequence of history. 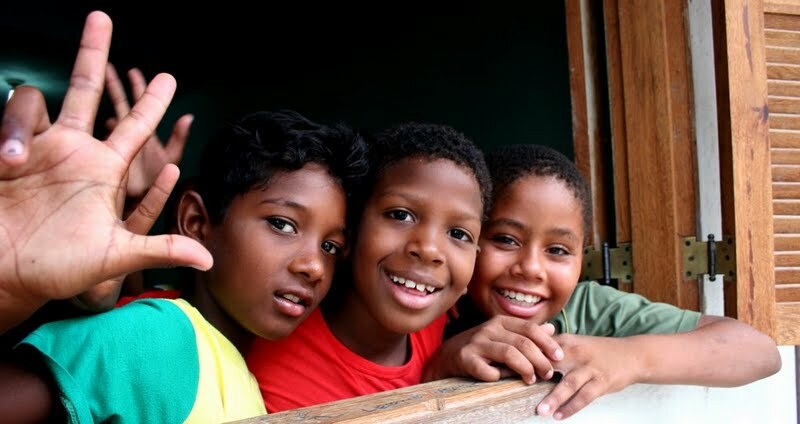 We look at how the favela communities were founded, why they were founded—out of slavery, and a lack of access to affordable housing—and look at the government policies that affect them now. Why are there criminal elements there? There is nothing inherent in them that produces criminality. The facts are that the state has neglected them, leaving them as easy targets for organized crime; that the citizens of favelas are criminalized so they lose their jobs and turn to organized crime; that we had a stagnant economy in Rio for much of the last forty years and now we’re back there again. 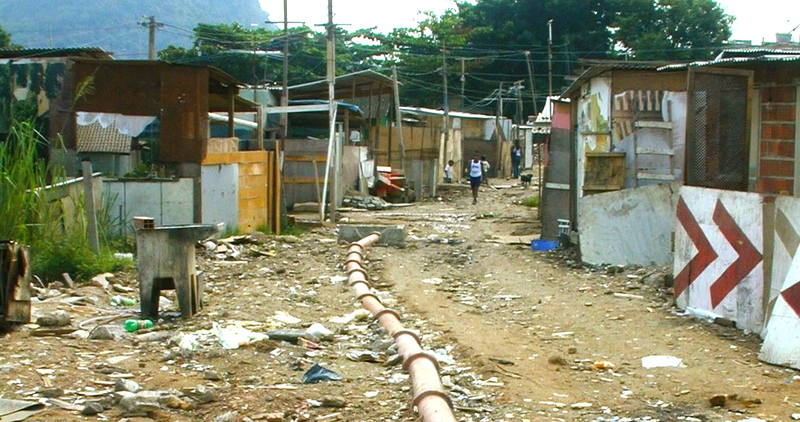 Favelas are communities that were built in the absence of regulation in response to the lack of affordable housing. They are communities where people built their own homes; in every brick, in every tile, there’s this level of embedded history that you don’t have in other communities, and that we don’t often understand if we don’t live in them. Favelas evolved based on opportunity and access to the city, and what the history is, who their leaders are, and what their geographies are. So, in the end, we have this incredibly diverse assortment of communities, and if you lump them all together, you do them a huge disservice because, by definition, they’re all different. 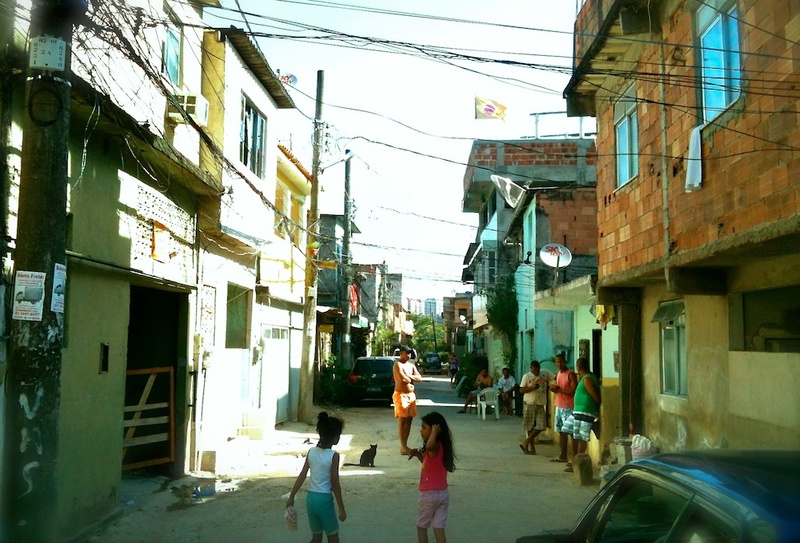 We are not trying to idealize them, but as an organization we focus on the attributes of favelas, and we’ve been working to highlight the urbanistic qualities that these communities have: they are pedestrian-oriented and child-friendly… there is a high level of solidarity, higher at least than in other neighborhoods in Rio. We are taking an asset-based approach to their development. As long as these communities are seen as having no value, or as places that shouldn’t exist, or as temporary places, we’re not going to get policies that are really productive, and we haven’t, from the government. At present, there’s the public housing program that moves people out of favelas, far from their jobs into low-quality apartments; or there’s the pacification police—a police force implemented to “pacify” drug traffic in the favelas, which ends up intimidating, torturing, and killing innocent residents. The truth is that on average favelas are better than the public housing being produced in Rio right now, and favelas are on average being impaired in their development through this policing. If we don’t see the qualities, we’re unable to plan in ways that strengthen and then build on these qualities. We do a huge disservice by dismantling and losing community assets through blind, stigma-based policies. 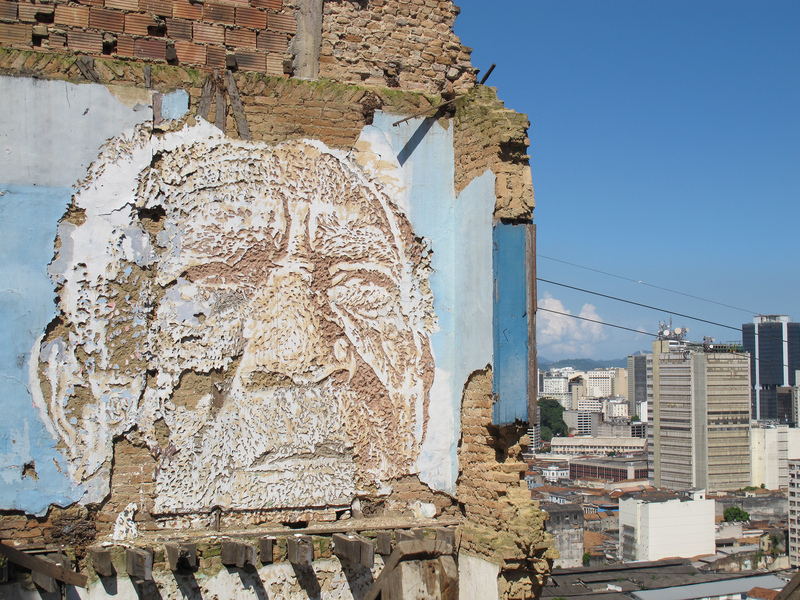 Guernica: Can you speak a little more to this idea of favelas having an “embedded history”? How does this manifest? Theresa Williamson: This idea that favelas are slums, and slums are temporary, implies that there’s no history or memory. 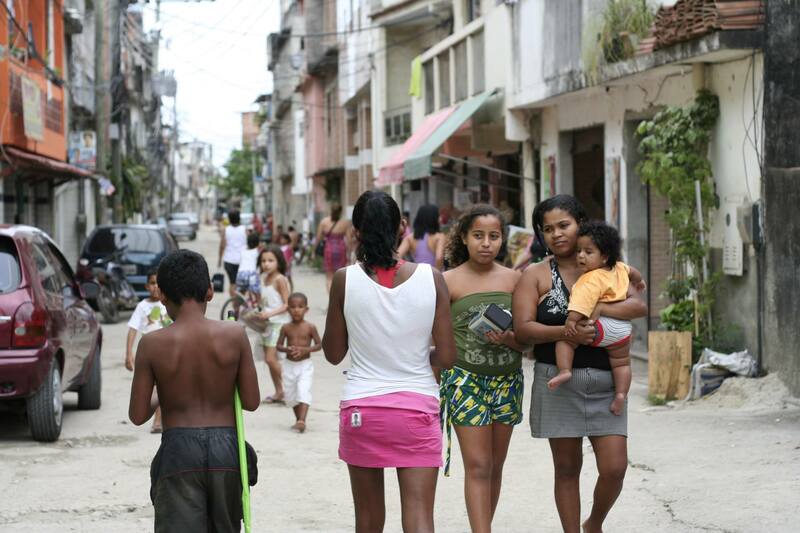 But in favelas, when you talk to people about their neighborhoods, nothing could be further from the truth. 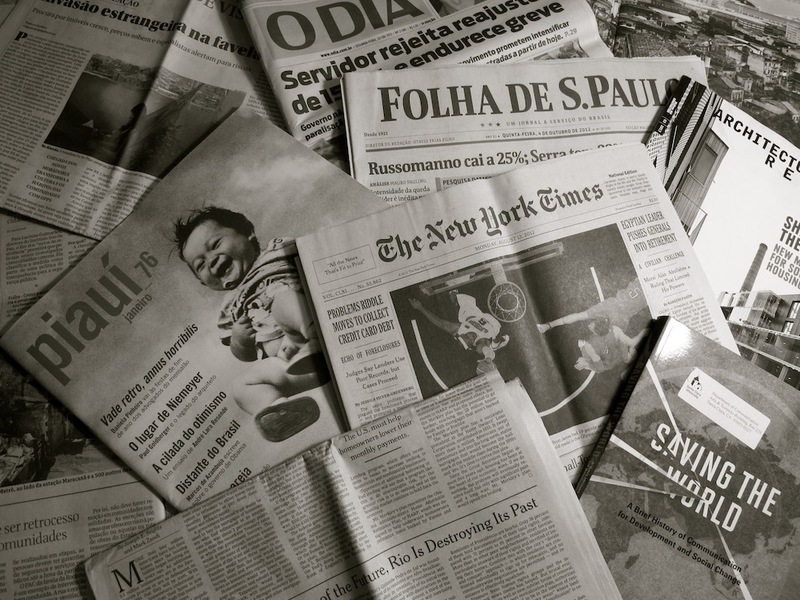 We’ve published several articles about this recently, that talk about how memory is preserved in the favelas in conversation, and funk, and feelings, which is so different from the way museums think of memory or how you might formally think of memory. The “temporary” idea—it’s part of keeping people feeling precarious, feeling like their homes have no value, to imply that they’re temporary and have no roots, when actually, in reality, they have deep roots. Much deeper than I do! I am constantly moving and shifting. Many of us are. We’re the precarious ones, in that sense. Guernica: It is often projected that by 2050, 70 percent of the world’s population will be living in urban areas, and that this will include a large increase in the number of people living in informal settlements. How does this relate to CatComm’s work? 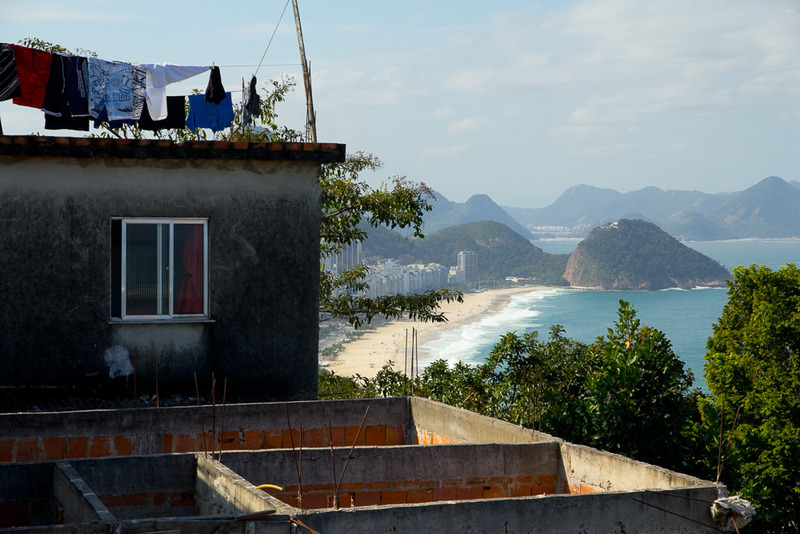 Theresa Williamson: Rio’s favelas have been around for over a hundred years, and the government ignored them, neglected them, allowed them to prosper and develop. So Rio is a really good lab to see what happens when informal settlements are allowed to develop—for better or worse, that is; I’m not placing any value judgment on whether that action by the government was good or bad. Rather than denying that the world is urbanizing through informal settlements, or trying to wipe them aside, the lesson we’ve learned in Rio, through our history is: If you want to develop a solution for housing before these issues arise, go for it, but once these communities start, once people have established a community and invested in it, you need to discuss outcomes with residents. They have to be consulted in any solutions. And the more established a community is and the more residents find that community functional and useful to them and want it to stay, the more we have to think about how we can integrate that community into the city. Guernica: Informality has become a theme for other urban activities, from pop-up shops and other kinds of temporary occupation of unused commercial spaces to aspects of the sharing economy, such as Uber and Airbnb. I’m curious about the links between this kind of informality, which is looking increasingly like it’s here to stay, and the informality we’re talking about with regard to favelas. Are they linked? How could they work together in the city of the future? Theresa Williamson: I think there’s absolutely a relationship. It’s funny isn’t it, when a business applies a principle that these communities have been [applying] for generations and are criminalized for, it’s considered creative and entrepreneurial and cutting-edge. There is a sort of frustrating contradiction there. Here in Rio, downtown, the same mayor who’s been removing people from favelas has provided rights to an abandoned factory that was taken over by artists in the same zone where they’re removing people, in the port area! So when is informality okay and when isn’t it? It isn’t okay when these traditionally marginalized groups do it because they’re not convenient to have around? But at the same time, as a city planner and as someone who uses and values these different services myself, I think it’s more constructive to think that these are examples of the value of informality. 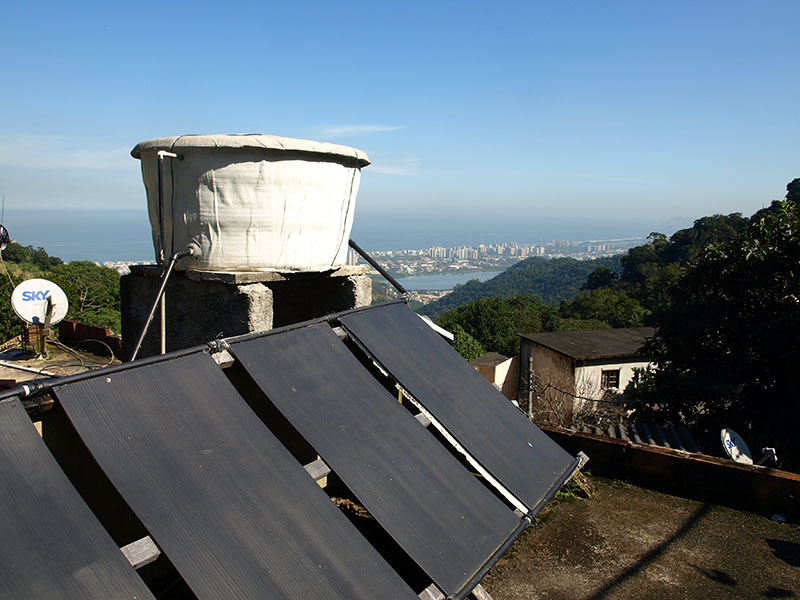 That is what favelas teach us, in the way that they produce creative, community-based solutions to problems as they arise, such as an architecture where people develop their homes around their needs. So instead of building some big house with unnecessary spaces, you build a room when your baby’s born, you build another floor when your children grow up, you move upstairs when you become employed and have a business downstairs… Favelas have that kind of dynamism. Services like Airbnb and Uber are completely structured, safe experiences, so you lose some of the element of risk that’s associated with informality, and the kind of laboratory experience. CatComm has had urban planners from Europe come to work with us who are concerned that cities in Europe are so planned now, they’ve lost their soul and are no fun anymore—and it’s true, what makes a city exciting is spontaneity, and spontaneity comes from informality. Where can we find the overlap between formal and informal? 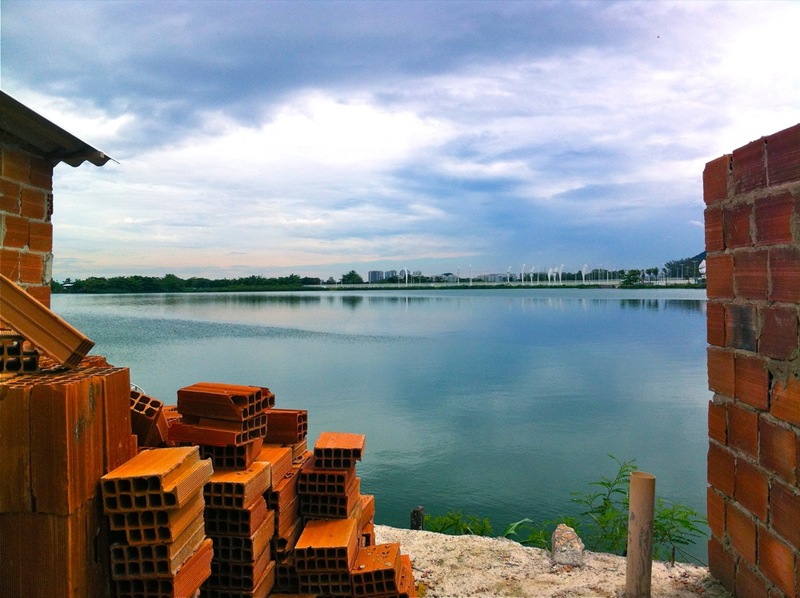 Planners should observe what naturally happens in the space. 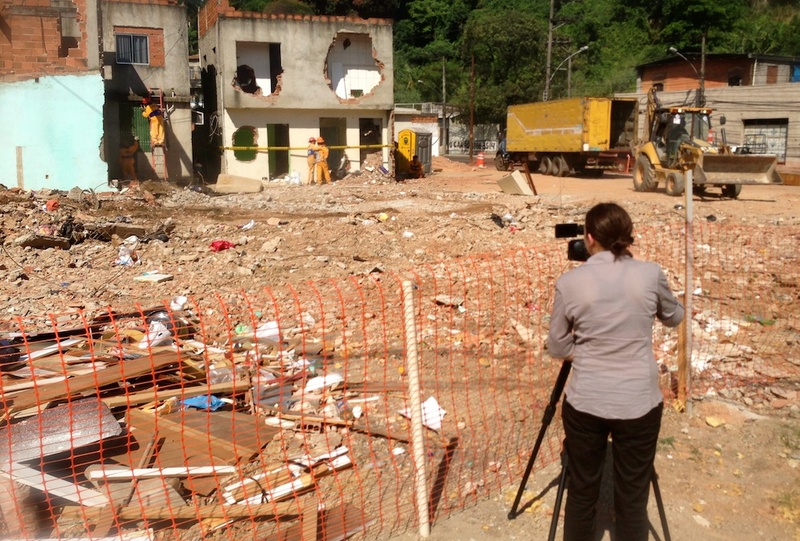 Our job as planners is not to replace that, it’s to add to it, and that’s CatComm’s approach to our work in favelas. When we detect qualities that come from informality, our job is to expand on those qualities, to strengthen them and invest in them, rather than to pave over them. 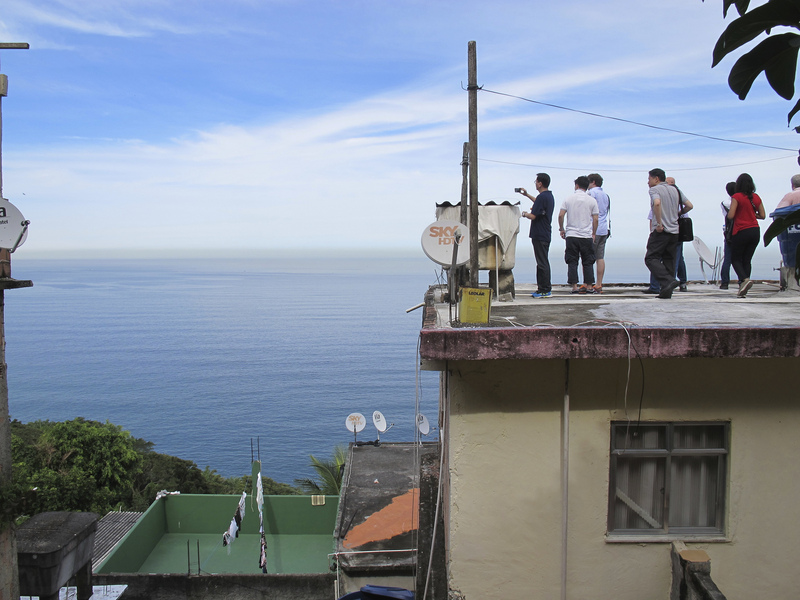 I studied participatory planning, but I think favelas have taught me that, actually, what we should be going for is community-led planning—so it’s not the government coming in and putting the stakeholders at the table, but the actual community coming up with their demands, and getting the government to meet those demands. Guernica: In a recent talk at Kalamazoo College, you described the way that a certain “favela aesthetic”—colorful, “makeshift” houses and furniture; outdoor graffiti and murals; street and dancewear associated with funk—is starting to become popular in architecture and branding efforts. 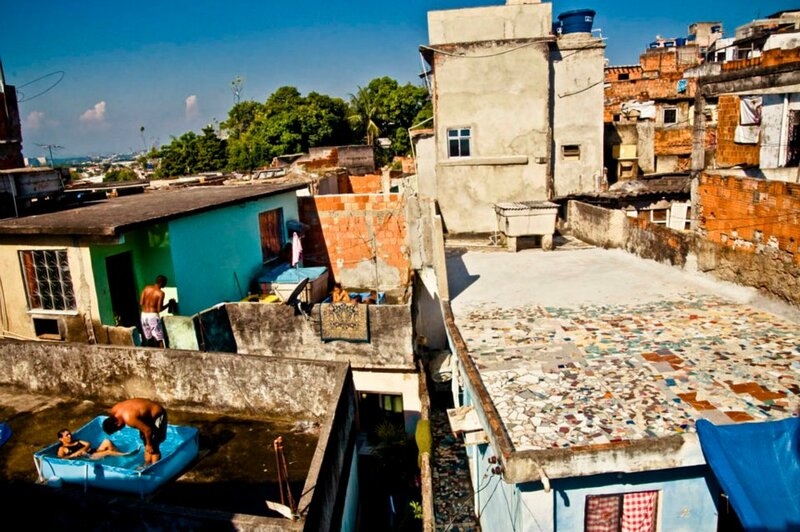 You mentioned that the upper classes in Rio are also quite horrified by the aestheticization of favelas. Theresa Williamson: People in favelas are being marginalized for being from favelas, while people getting into favela chic are actually valuing something about the favelas—and this is where it gets complicated, because I think people should value those things about the favelas. 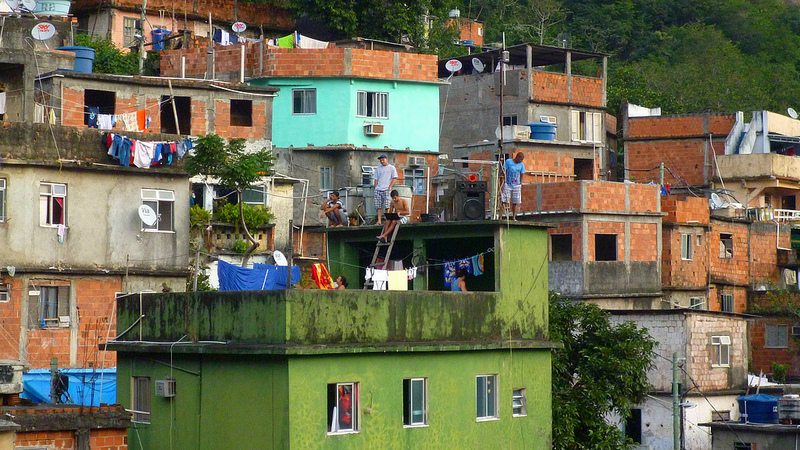 I do think there is an aesthetic value to the favelas. I do think there is value to funk music and to the cultural vibrancy in favelas. What bothers me is that people are valuing favelas without admitting it! Which is it? 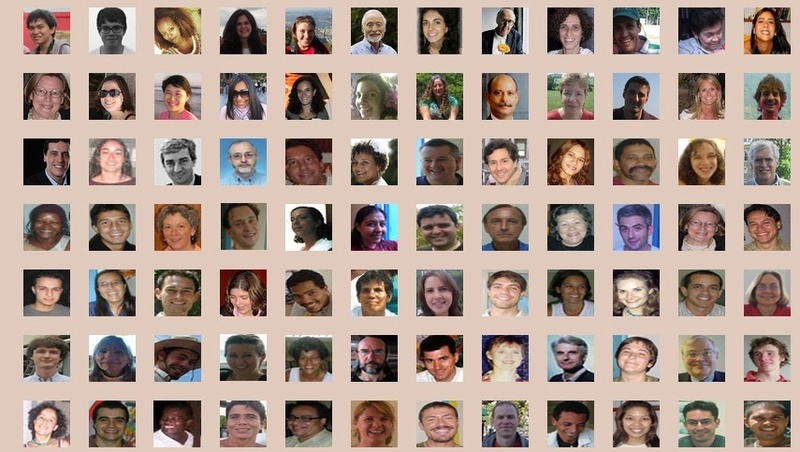 Are these communities with qualities or not? 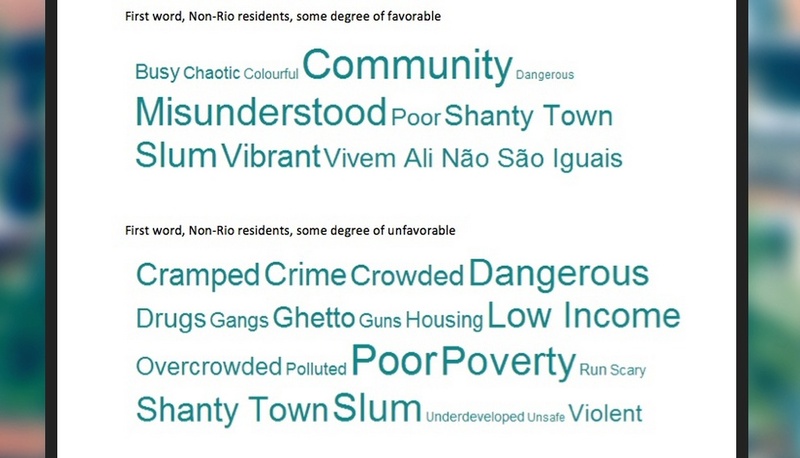 And if favelas are contributing these qualities to the world, then what are they getting back? Guernica: You’ve referred to favelas as “Rio’s affordable housing stock,” re-routing the conception of favelas from neglected slum to affordable housing solution. How, in your opinion, do we create an urban future where we don’t need affordable housing stock, because shelter is guaranteed and doesn’t need to be “afforded”? Theresa Williamson: A few years ago I was in London, and we were observing the buildup to the Games there, talking to people who were affected by related changes to the city. I met somebody from the local housing agency in the City of London. She said 24 percent of Londoners receive social rent, not counting social housing and other policies. And it hit me that that’s the same percentage of people in Rio who live in favelas. I started doing some research and in every single city that we looked at, 20 to 30 percent of the population can’t afford the market rate, which makes perfect sense, because the market doesn’t build for them. So every city needs an affordable housing stock and Rio’s favelas have provided that, historically, here in Rio. I’m not saying that cities should encourage informal settlements by any means, but once they’re established, and from the moment the residents say, “This neighborhood has value to me and I want to stay,” that community needs to be treated differently, it needs to be treated as an integral part of the broader community that deserves investment.